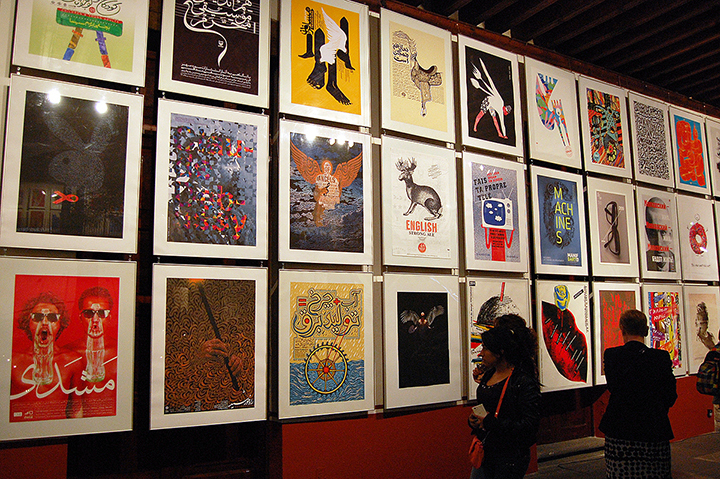 The 13th edition of Mexico´s International Poster Biennial (BICM) took place from October 27th to November 2nd in Mexico City and Morelia. 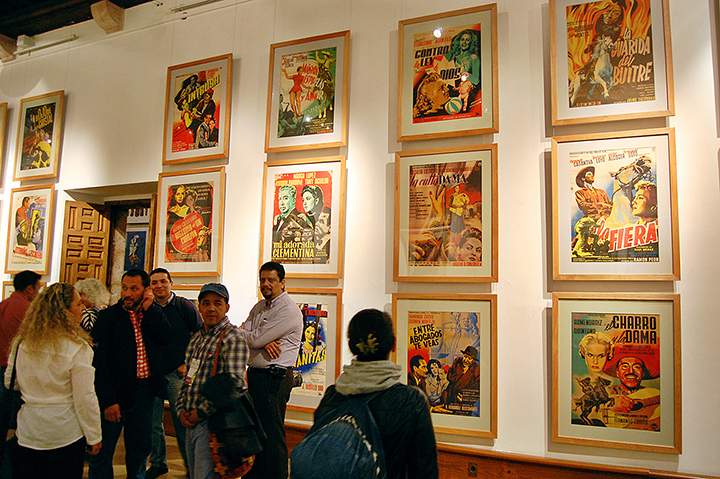 Winning posters announcement and opening exhibition was held at the Franz Mayer Museum in Mexico City. 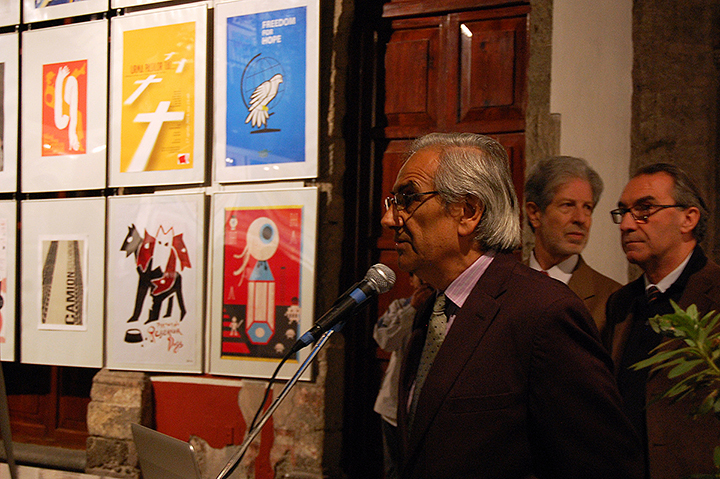 Jury members (Nelu Wolfensohn-Quebec, Arnulfo Aquino-Mexico, Antonio Castro-USA, Ronald Curchod-Switzerland, Mark Gowing-Australia, Laura Llópiz-Cuba, Sophia Shin-Taiwan and Parisa Tashakori-Iran) chose this year’s winning posters which you can view here. 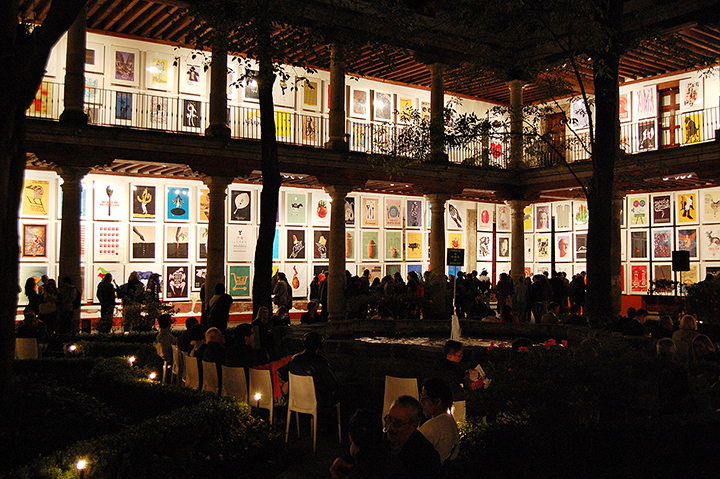 Afterwards, 19 Workshops, 19 lectures and 15 exhibitions from some of the world´s best designers took place in the beautiful colonial city of Morelia at par with the breathtaking celebrations of the mexican tradition “Día de muertos” (Day of the dead); a perfect date to be in Mexico for all the international attendees! Workshop by Diego “Yayo” Herrera from Colombia. 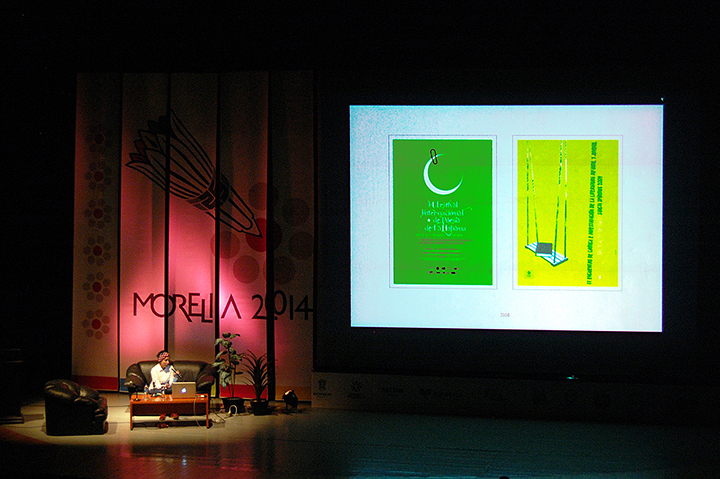 His graphic quality and humour were simply amazing; worth mentioning he is one of the nicest persons in the world! 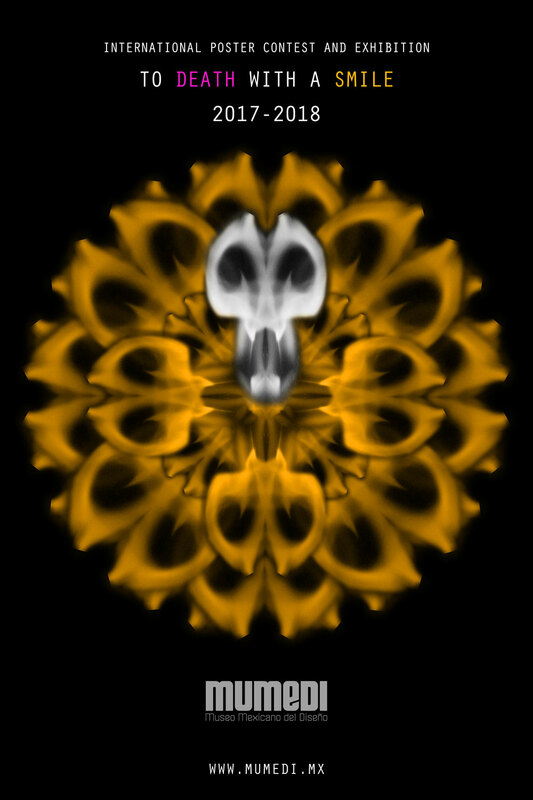 Nelu Wolfensonh lecture. 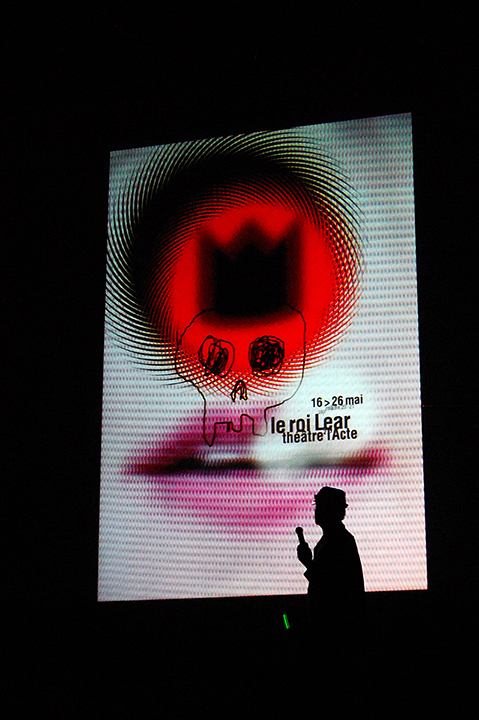 In which he told us the “secret formula” to make quickly and easily a great poster. 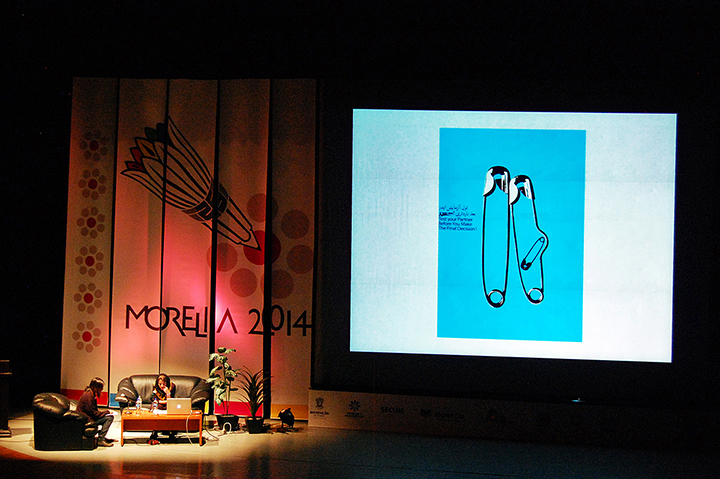 Fernando Rueda lecture about Puppets. Closing the event with funny video interventions and a play with all the puppets made by his students during the workshops. 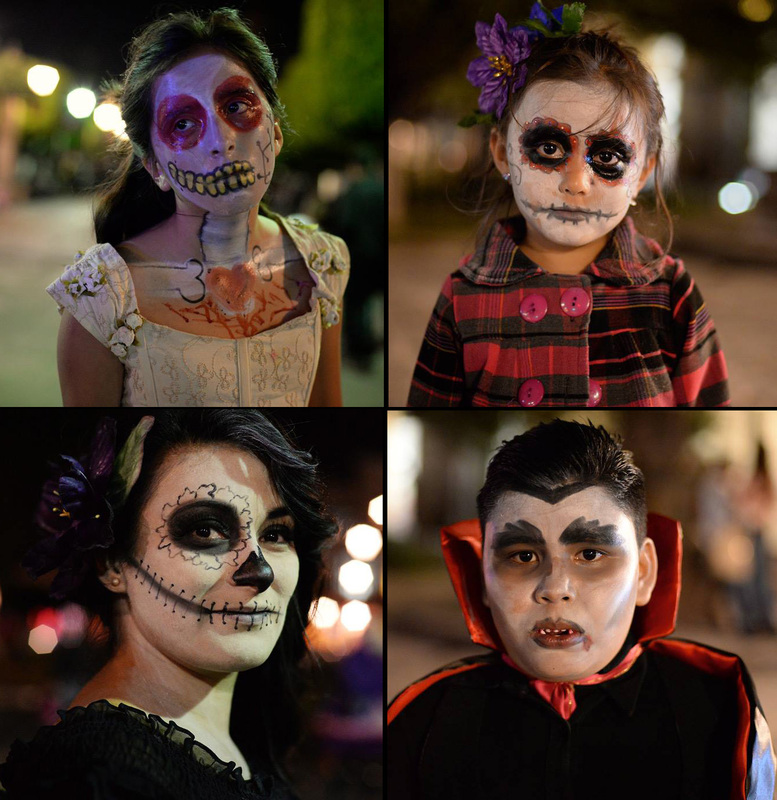 Night of the death in UNLA University: Altars, traditional food, regional dances, prehispanic rituals, performances and great costumes. Finally, Gus says: “Last but not least what I love about attending BICM and all the great Poster Biennials is the opportunity to meet new friends and reunite with old ones. 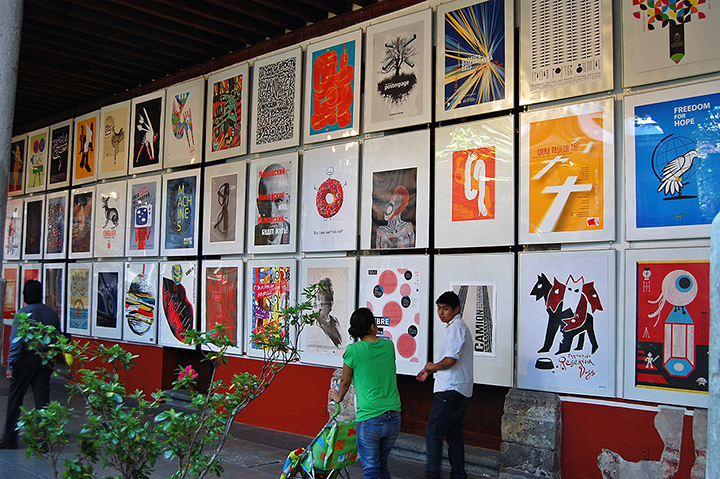 A lot of the learning takes place on the lectures and workshops; but outside, enjoying a meal, a coffee or a beer friendships and new poster projects are truly nurtured”. 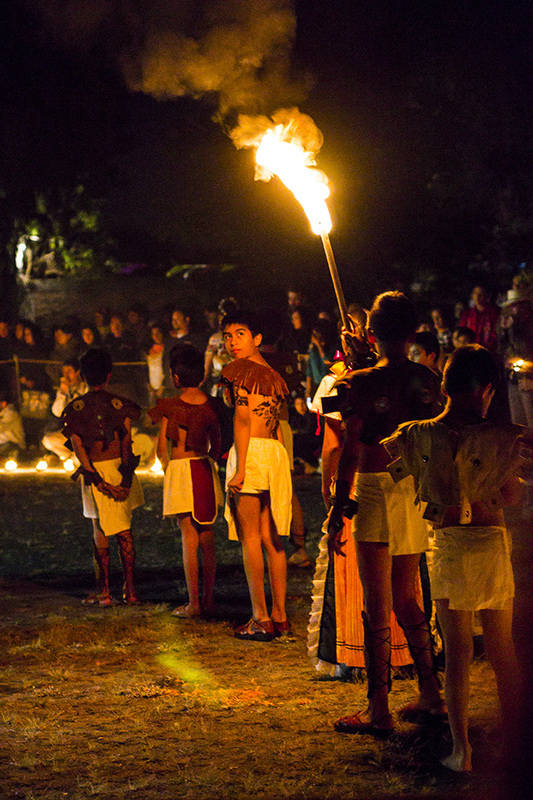 See you in Mexico in 2016! 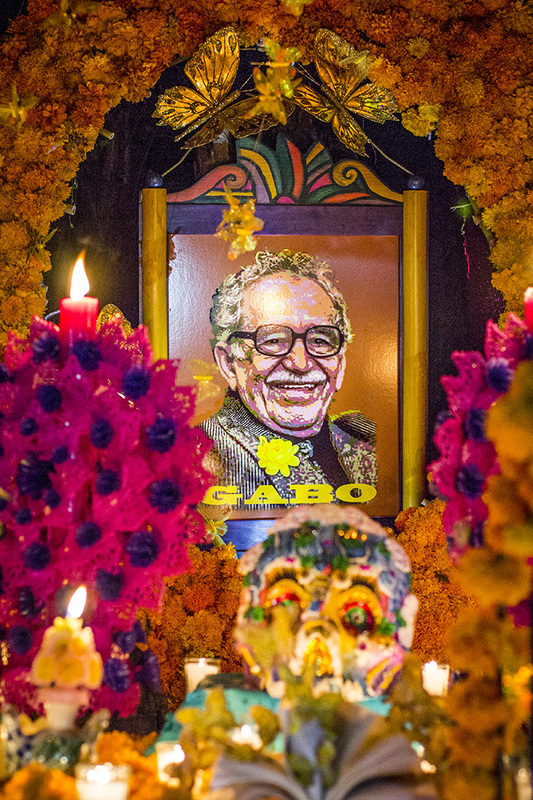 Photos: Exhibitions and lectures by Lonnie Ruiz; Day of the dead portraits by Emrys Miller; Garcia Marquez altar and prehispanic ritual by Gus Morainslie.